The Mt. Airy and Eastern Railroad, commonly called the “Dinky,” was a 3 foot wide, narrow gauged railroad that connected Mount Airy with Kibler Valley in Patrick County, Virginia. Joining the quarry line at a spot called the Junction near Riverside Drive, it was chartered in 1899 and ran until 1918. 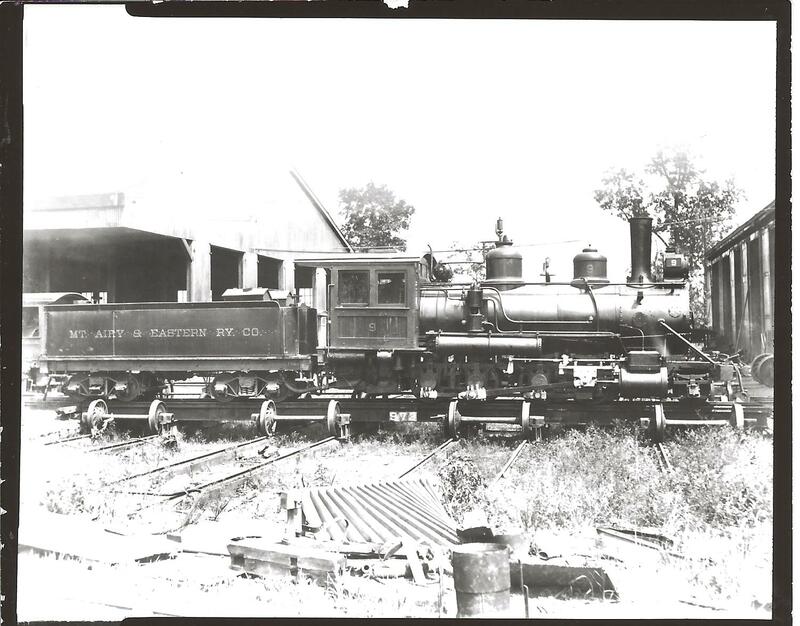 The Dinky line ran 19.25 miles along the Ararat River from the Junction to Kibler, where lumber was plentiful in supply and helped spur the growth of the furniture industry in Mount Airy. The Dinky also carried the mail and dropped off packages to people who lived along the railroad tracks. Passengers would sit on chairs or even rocking chairs on the train’s flatcars as they traveled to the famous White Sulphur Springs Hotel for an outing, a picnic, or to partake of the healing sulphur waters.